Christian Yelich owns the St. Louis Cardinals, hitting three home runs in Milwaukee’s 10-7 victory Monday night. The Redbirds had just wiped out a big Brewer lead and tied the score at six when Yelich hit his second homer, the game-winner, with two on. Neither team was particularly effective from the mound. Mike Moustakas also homered for Milwaukee and the Cardinals went deep three times. The Brewers have won four of their five meetings with St. Louis so far. Junior Guerra got the win. 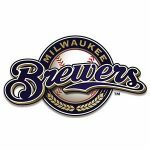 The Brewers will start Brandon Woodruff when the two teams meet again at Miller Park tonight (April 16th).